Archaeologist, graduate of Vilnius University, Faculty of History. Worked at the Lithuania Minor Historical Museum in Klaipėda, Centre of History of Western Lithuania of the University of Klaipėda, the National Museum of Lithuania in Vilnius. Since 2005, staff member in the Section of Archaeology of the Lithuanian Institute of History in Vilnius. Conducted archaeological excavation in the cemetery at Baitai (western Lithuania), Jakai (raj. Klaipėda), Dovilai, in the historic town districts in Klaipėda, Šilutė, Palanga, Priekulė, Varniai and Trakai. Specialist in the Roman Period in Lithuania, her subject of special interest is the culture situation in western Lithuania. Another area of interest is archival research aimed on reconstructing the archaeological heritage of western Lithuania. Author some 30 articles, including a synthetic history of Lithuania during the first centuries of our era examined against a wider European background, published in 2007 in volume II of the series Lietuvos Istorija (ed. G. Zabiela). Engaged in cooperation with Polish archaeologists, e.g., from the State Archaeological Museum in Warsaw, active participant of meetings of the Balt Seminar. Coordinator of the project focused on M. Brensztejn’s manuscript, financed by the Ministry of Culture of the Republic of Lithuania (Kultūros rėmimo fondas). Archaeologist, graduate of University of Warsaw, Institute of Archaeology. Qualified Curator of the State Archaeological Museum in Warsaw, head of the Department of Balt Archaeology. Keeper and co-author of several archaeological exhibitions (“Prusowie. Dzieje i kultura ludu bałtyjskiego”/Prussians. The history and culture of the Balt people, “Sztuka Bałtów. Baltų menas”/Art of the Balts). Conducted archaeological excavation and surface surveys in Masuria and the Suwałki region (e.g., at Kazimierówka, Ławki, Paprotki, in the valley of the Marycha river). Main areas of research interest include prehistory and protohistory of Balt peoples during the Roman Period and the Migrations Period, first of all, their contacts with Scandinavia and Finnish territory, as well as exchange with Wielbark Culture and Przeworsk Culture communities. Another area of activity is the study of archival sources related to Balt archaeology and reconstructing the archaeological heritage of former East Prussia. In 2005–2008, one of the organizers of the Polish-Danish project: “Archaeology and heritage culture. Contacts across the Baltic Sea during the Iron Age”. Initiator of the Project Szurpiły aimed on post-excavation analysis of input from past and new investigation of one of the key settlement centres of Yatvingia. Author of two monographs and close to 80 articles. Editor or co-editor of 10 books, including exhibition catalogues, monographs in the series Monumenta Archaeologica Barbarica, and collective studies in the series Seminarium Bałtyjskie. Co-organizer of the Balt Seminar. Founding member of Kommission zur Erforschung von Sammlungen Archäologischer Funde und Unterlagen aus dem nordöstlichen Mitteleuropa (KAFU), honorary member of Society of Lithuanian Archaeology. Conservator of paper, graduate of Nicolaus Copernicus University in Toruń, Faculty of Fine Arts, Conservation of Artwork, specialized in conservation and restoration of paper and leather. Associated with the State Archive in Olsztyn for the last 16 years. After starting employment in 1994 was instrumental in creating the Laboratory of Archive Conservation and Restoration and has been its head until now. During the many years of her work she has treated hundreds of archival units. Active participant of numerous conservation projects. Cooperation with the Archive of the Roman Catholic Archdiocese of Warmia in Olsztyn. In 2004, as part of a project run by the Olsztyn city council, conserved seriously damaged records from the resources of the Cadastral Office and Magistrat Allenstein. Participant of the Ministry of Culture and National Heritage project on conservation and digitization of the inventory books of the former Prussia-Museum. One of the authors of the scenario for the exhibition “Ocalone inwentarze dawnego Prussia-Museum”/Rescue inventory books of the former Prussia-Museum, presented in Olsztyn, Kaliningrad, Rapperswil, Warsaw and Berlin. Involved in the project of conservation of two books from the resources of Książnica Cieszyńska library under EU project Protection and preservation of Cieszyn’s writing heritage. On behalf of the Ministry of Culture and National Heritage conserved a group of 23 project designs of Stefan Norblin for the interior furnishing of Umaid Bhawan Palace, Jodhpur. In 2010, took part in a joint project of the State Archive and the Marshall of the Warmińsko-Mazurskie voivodship on the conservation and visualization of three sketchbooks from the travels of Wilhelmine Angelika Dönhoff zu Dohna (1794–1866). Next to her activity in archival records conservation an active participant of many research projects and conservator expert studies. Member of the working team in the Government project on acid paper (Polish title: Kwaśny Papier). As part of this programme a study was made under her guidance on the preservation of the resources of the State Archive in Olsztyn. Input from this project was used to develop a Report on the preservation of 19th and the 20th c. archival records in the State Archive in Olsztyn. For her contribution to Polish Culture awarded the prize “Zasłużony dla Kultury Polskiej". Archaeologist, head of the Archaeology Department in the National History Museum of Latvia in Riga. Organizer of many archaeological exhibitions in Latvia and abroad (e.g., in Lithuania, Poland and Germany). Conducted archaeological excavations in sites from several chronological periods (e.g., castles in Riga, Sigulda and Ropaži, cemeteries at Veselava and Krimuldas Priedes, hillforts as Kārļa kalns and Kubesele). His main research focus is archaeology of eastern Latvia during the first millennium of our era. Participant of international projects associated with the publication of Latvian national heritage abroad. Author of 40 or so articles, co-author of 9 books and exhibition catalogues, editor of the collected works of F. Jakobson. Philologist of Polish language, graduate of University of Wrocław, literature historian, lecturer in the Centre of Polish Studies, Vilnius University. Research interests include the history of 19th and early 20th century Polish literature, Lithuanian-Polish literary links, Polish folklore. Lecturer at Vilnius University on the history of Polish literature (Romanticism to Modernism), modern Polish language, literary analysis, introduction to editing. Author of a monograph on Czesław Jankowski (published in Kraków) and of over 30 research articles on Polish literature of the 19th and early 20th century, and on the literary and cultural life in Vilnius. In 2007–2009, participant of a project aimed on developing a specialist Lithuanian-Polish dictionary. Visiting researcher at the Jagiellonian University in Kraków, University of Warsaw and the Institute of Literary Research of the Polish Academy of Sciences. Philologist of Polish language, archaeologist. Graduate of Jagiellonian University, Faculty of Polish Studies, of University of Warsaw, Institute of Archaeology, and of a Post-graduate Course in Museum Science. Senior Curator in the Laboratory of Scientific Documentation (Archive) of the State Archaeological Museum in Warsaw. The focus of her work is analysis and publication of scientific sources, e.g., the legacy of Professor Erazm Majewski, one of the founding fathers of Polish archaeology. Author of over 30 works on history of archaeology. Archaeologist, graduate of Vilnius University, Faculty of History. In 2002–2005 staff member of the Castle Research Centre “Lietuvos pilys”, since 2006, with the Lithuanian Institute of History, Section of Archaeology in Vilnius. Leader of numerous excavation and fieldwalking projects, some of them in eastern Lithuania. Since 2006, member of the editing committee of the series “Archeologiniai tyrinėjimai Lietuvoje”, and since 2011, Chief Editor of the scientific journal “Lietuvos Archeologija”. His research focus is Iron Age and the Early Medieval Period in eastern Lithuania, mainly, East Lithuanian Barrow Culture. Other interests include funeral rites and social structure, the subject of his PhD dissertation (defended in 2009), as well as theory of archaeology, anthropology and history of Lithuanian archaeology. Archaeologist, araduate of universities in Munich, Gießen and Regensburg, courses in prehistoric archaeology and Roman provincial archaeology, ethnology and medieval history. In 1971–1972 head of the research assistants office at the University of Regensburg where he obtained his habilitation in 1986. In 1972–1990, staff member of Germanisches Nationalmuseum in Nuremberg where in recent years he was Director and Chief Conservator. In 1990 received the title of Associate Professor from the University of Regensburg; that same year became Director of Museum für Vor- und Frühgeschichte, Staatliche Museen zu Berlin – Preußischer Kulturbesitz in which position he continued until his retirement in 2008. In 1991 received the honorary title of professor from the Freie Universität of Berlin. His main research interests are in the Bronze Age and the Merovingian Period, to which subject he has devoted a series of studies, as author and editor. Author and co-author of archaeological exhibitions in Germany, Russia, France (Paris) and Denmark (Copenhagen). Archaeologist, lecturer at the Department of Early Medieval Archaeology, Institute of Archaeology of University of Warsaw. Since mid-1990s, engaged in archaeological research in north-eastern Poland, mainly in Masuria (Boże, Lasowiec, Ruska Wieś, Rydwągi). His main area of interest is archaeology of Early Medieval Prussians and collision of Balts with the western world in the age of the Northern Crusades, moreover, selected aspects of Early Medieval hoarding. Author of publications on Early Medieval Prussian archaeology and on archival archaeology. In 2006–2008, Director of an archaeological heritage unit attached to the Ministry of Culture and National Heritage. Since 2010, in cooperation with A. Rzeszotarska-Nowakiewicz (IAiE PAN), involved in archaeological research of the sacrificial bog site at Czaszkowo, comm. Piecki, voiv. warmińsko-mazurskie. Archaeologist, graduate of Freie Universität of Berlin followed by studies at the University in Zurich. The subject of her PhD was Bronze Age inlaid pottery from the Carpathian Basin (2000, published in 2006). Since 1999, with Museum für Vor- und Frühgeschichte, Staatliche Museen zu Berlin – Preußischer Kulturbesitz, where she is involved in cataloguing and analyzing the collections of the former Prussia-Museum, at present preserved in Berlin. Published a number of articles on the history of these collections. Her research interests include the Roman Period, the Migrations Period, and the Viking Period in the Baltic basin, analysis of cemeteries in this region, and also, the history of archaeological research. In 2004 started a project (financed by Deutsche Forschungsgemeinschaft), aimed on reconstructing the grave assemblages and analyzing the archaeological material from the East Prussian cemetery at Oberhof (now Aukškiemiai, western Lithuania). A monograph is now prepared based on the documentation and archaeological objects from the collection of the Prussia-Museum (now in Berlin), and on numerous archival sources dispersed in several research institutions (e.g., in Olsztyn, Vilnius, Tartu and Schleswig). Archaeologist, researcher in the Institute of Archaeology and Ethnology of the Polish Academy of Sciences (IAiE PAN). Author of numerous field research projects carried out since the beginning of the last decade, mainly in the northern part of Masuria known as Mazury Garbate (Boćwinka, Juchnajcie and Lasowiec). Her research contribution includes analysis of material from archaeological investigation, studies in archival archaeology, and on the settlement on the middle and upper Pregolya river. Specialises in archaeology of the Roman Period and the Migrations Period in the north-eastern region of the Baltic Sea basin. Since 2010, with T. Nowakiewicz (IA UW), involved in archaeological research in the sacrificial bog site at Czaszkowo, comm. Piecki, voiv. warmińsko-mazurskie. Archaeologist, staff member in the Section of Archaeology of the Lithuanian Institute of History, lecturer at Vilnius University. Main area of interest is Iron Age, settlement studies and landscape archaeology, also, social structure of prehistoric societies. The latter was the subject of her PhD thesis (defended in 2004). Author of more than 20 published articles. In 2007–2010, was Chief Editor of the scientific journal “Lietuvos Archeologija” with completed 5 volumes. Graduate of St. Petersburg State University of Culture, specialization “Economics and Management of Cultural Institutions”. 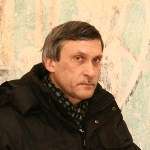 Vice-director of the Museum of History and Art in Kaliningrad. Since 1990, actively involved in projects aimed on protecting the cultural heritage in Kaliningrad Oblast. Organizer and coordinator on the behalf of his museum of several archaeological expeditions (e.g., to the cemetery at former Alt Wehlau), initiator of many projects on monuments protection, museology and conservation. Since 2005, member of the Governor’s Council of Culture for Kaliningrad Oblast. Since 2009, head of the section Preservation of Cultural Heritage in the Council of Experts in the local government. Invited as act expert for several international projects on heritage protection and regional promotion. Author of 24 publications on history, archaeology and culture. Archaeologist, graduate of University of Warsaw, associate professor at Institute of Archaeology of the same university (IA UW). In 1993–1996, 1999–2002 and 2008–2012 – Vice-Director of IA UW. Specialist in Early Medieval archaeology. Conducted archaeological excavation e.g., in eastern Poland (Grodzisk n/Liwcem), Masuria (Szestno-Czarny Las k/Mrągowa) and Suwałki region (Szurpiły). Recently involved in research on Prussian (and more broadly, Balt) archaeology in the period 7th/8th to 12th/13th century and on culture links of Balt peoples with Scandinavia, Slav territory and peoples of the steppe zone. For many years, editor of “Światowit”, yearly journal of the Institute of Archaeology, and editor of several books on Medieval archaeology, contributor of over 50 articles and encyclopaedia entries, published in Poland and abroad. Special area of interest is e.g., confrontation of archaeological sources with data from ethnography related to Balt, Finnish and Slav peoples. Co-organizer of the Balt Seminar. Archaeologist, graduate of Belarusian State University, Faculty of History. Since 1980, staff member of Institute of History, National Academy of Sciences of Belarus. The subject of his PhD dissertation was the Neolithic and the Bronze Age in the basin of the Western Dvina (1985). Current research interests include Early Medieval Belarus and questions related to the relations between Balts and early Slavs, spiritual culture during the pre-Christian age, pagan religion, pagan relics and sacred sites (e.g., holy groves and boulders). Conducted numerous archaeological excavations in hill-forts and sacred sites (Radohošč, Verhovlany, Sanniki, Kryvsk). Author of 150 or so articles, 250 encyclopaedia entries, 2 brochures, and co-author of 9 collective works. In 2000 scholar of the Foundation Kasa im. Józefa Mianowskiego, making a study of archaeological sources in various research institutions in Poland, e.g., in Poznań, Toruń, Gdańsk and Białystok.